Gentle canoeing of Lake Cootharaba, QLD. Florida’s not the only place with everglades. The Cooloola Recreation Area of the Great Sandy National Park in Queensland is home to its own version of these vast waterways and wetlands, which are perfect for kayaking and canoeing, either at your own pace or on a guided tour. 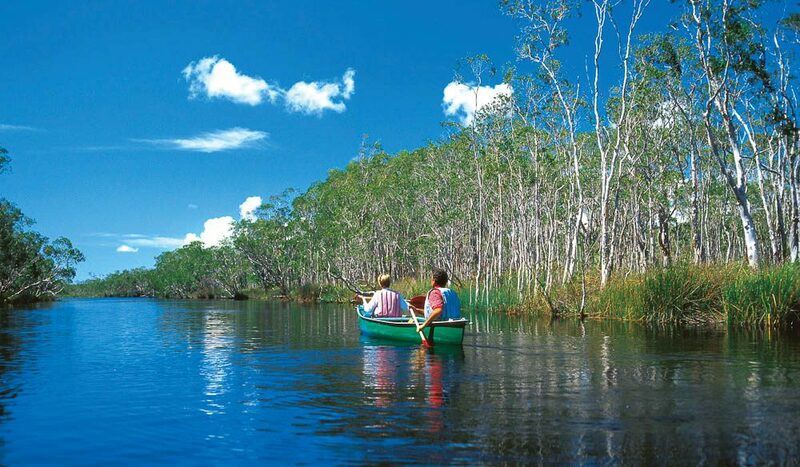 Part of the 150,000-hectare Noosa Biosphere Reserve, the everglades are heaving with interesting ecosystems to explore as you paddle your way along the waters. They provide safe haven for many species, from inland dolphins to dugongs and sea turtles, mangrove-dwelling butterflies and migratory shorebirds.